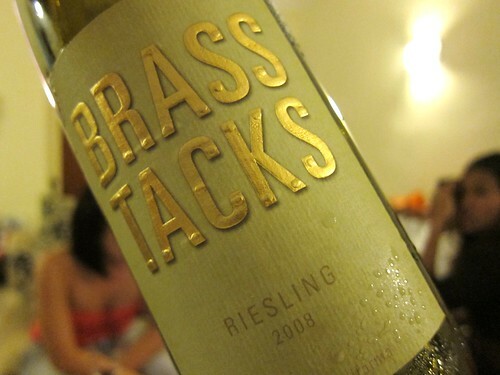 This is a Riesling from Brass Tacks I picked up at Singapore Airport Duty Free. 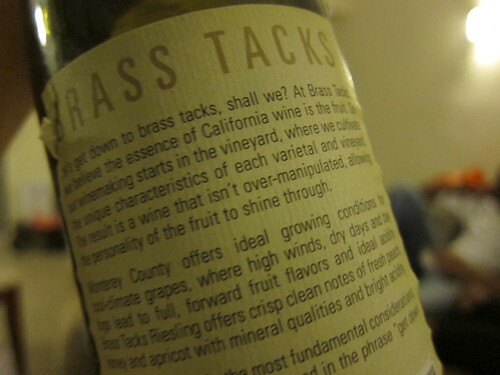 Interesting for me as a German since it’s a Riesling – a German varietal – grown in the US; California to be precise. Santa Lucia Highlands in Monterey County to be even more precise. And it definitely beat my expectations. No detailed notes on it, but I remember a nice fruit-acidity-balance and a authentic Riesling personality. I’ll keep an eye on it.